Contract WordPress designer needed to assist Lead designers in website implementation and site maintenance/content updates. Primary role will be to Implement WordPress websites from PDF, AI, PSD mockups. Additional projects/tasks available depending on programming skill set and/or graphic design skill set. Designer MUST be in the Boulder/Denver area. 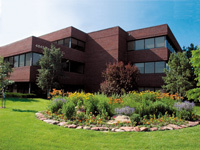 Some work will need to be completed in our Boulder office, and some may be completed from your home. Please send links to three (3) sites along with a resume. Student project sites okay. We are looking for a high-level LAMP (Linux Apache MySQL PHP) sysadmin for a part-time consulting contract. Immediate Requirements: This person would need to be golden on LAMP under Plesk and occasionally under cPanel. Long Term: If the relationship works well, we would eventually be able to migrate away from using a control panels and put full responsibility to sysadmin. Very high skill level required (you have to be better at this than Taavo), but pay will be appropriate.